Going to the gym or a quick trip? 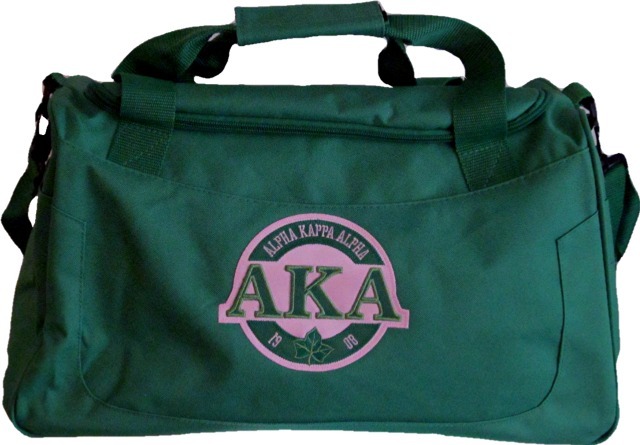 This roomy little duffel has got you! 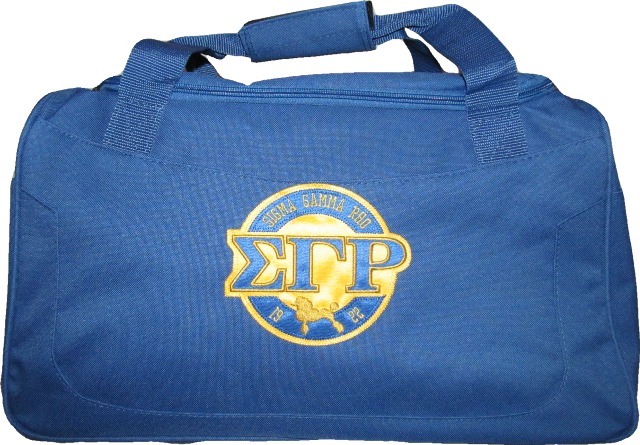 The stitched-on and embroidered twill patch highlights your greek letters and mascot. Our strong, durable, and colorful polyester bags feature a zippered main compartment has large U-shaped opening with two zipper pulls, Side pockets, and handles fabric handles, and an adjustable and detachable matching shoulder strap with black rubber shoulder guard. OMG! What more could you need? Each bag measures 18" wide x 10" tall, and 9" deep.